How my new SSD made everything faster and allowed me to backup all my files online for free. 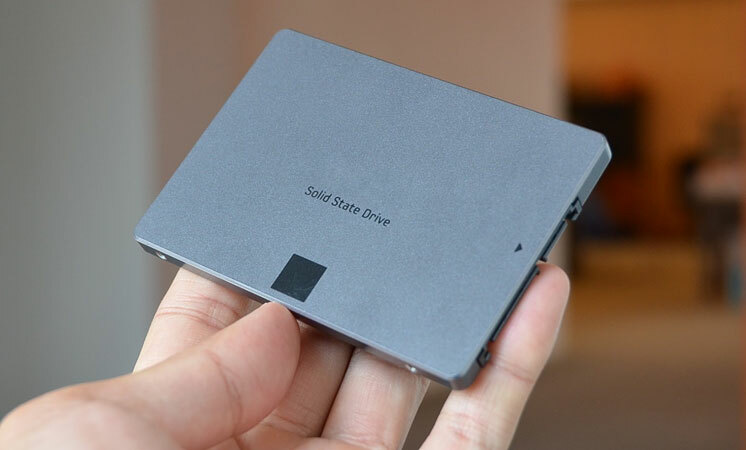 A Solid-State Drive (SSD) has a higher cost per GB than the usual Hard Drive Disk (HDD). Therefore, if your planning to replace your current HDD for an equally priced SSD you’ll end up with less space available. That’s what I did; I replaced my laptop’s 350GB HDD for an 250GB SSD. A curious thing about SSDs is that they’re faster if they have more free space available. If your SSD has less than 50% free space your disk’s performance won’t be optimal – and you want to squeeze every bit of performance from your new SSD. To sum up, I paid to downgrade from 350GB to 125GB (2.8 times less!) And I’m pretty satisfied with it. I have a much faster PC and I got rid of all the unnecessary files I had. You don’t need all those songs you no longer listen to – if you do, you have them on YouTube or iTunes. You don’t need all those 1080p movies and series you already watched – if you do, you can view them on demand. And there’s yet another benefit of having fewer files on your disk – your files will fit the free quota of any cloud storage service like Box, Google Drive or OneDrive. Thus not only do I have a faster laptop I also have all relevant files backed up and accessible anywhere. For free! Gone is my prone to faults external backup disk.